Short passing game consisting of 5 v 5, Object of the session is to maintain possession by accurate passing and good control. Create and find space. Objectives, of good passage of passing ie 10 passes. Adapt to Overload and underload. 5v4 3v2 4v1 Add additional players outside playing area with rules ie play and return to team in possession. 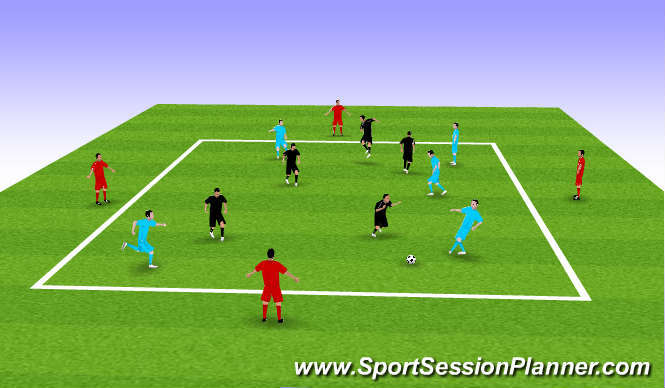 Add player into playing area to play for team in possession.